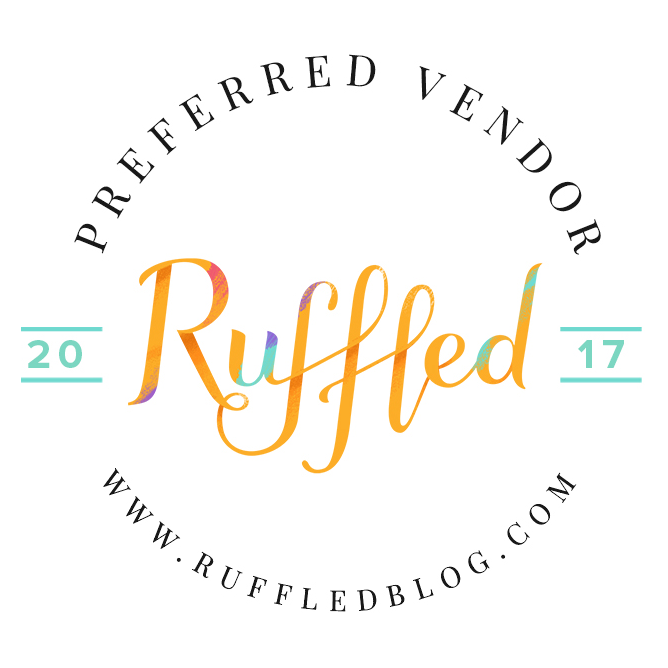 When you’re choosing colors for your wedding invitation suite, you might stop when you get to “Blind” and “White” as color options. Blind doesn’t sound like a very pretty color, and how would you even see white ink? Sound confusing? Don’t worry, I’m going to clear up the mystery about printing with these two “colors” that aren’t really colors at all. 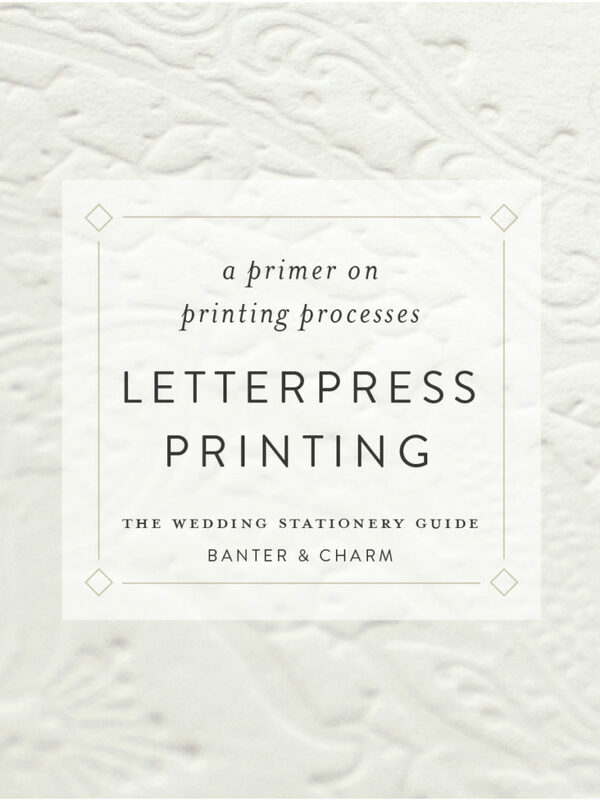 Chances are, before researching wedding invitations, you never had to worry about things like printing processes before. And that’s absolutely normal! 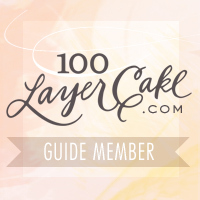 Prior to planning my own wedding, I had no idea there were so many different options (let alone what each technique entailed). 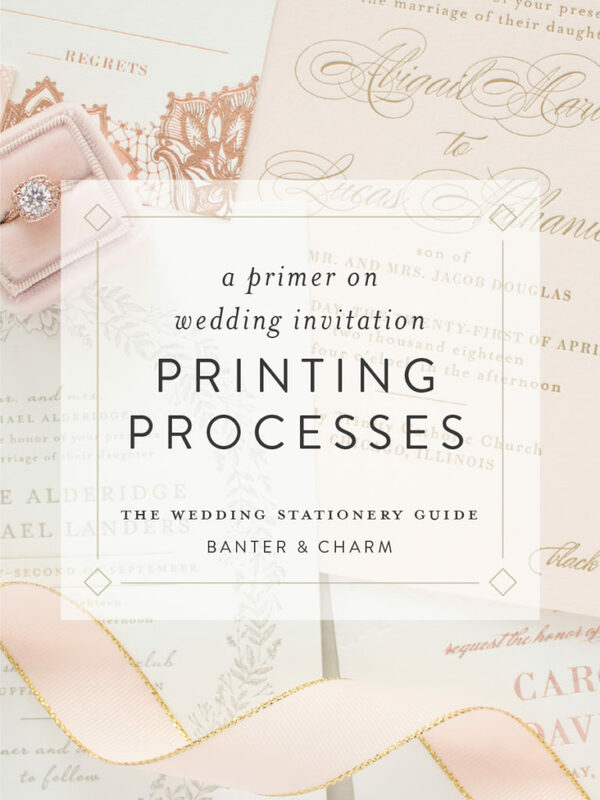 Since this is a common source of confusion for brides, I put together a quick list of pros and cons of the main printing styles. 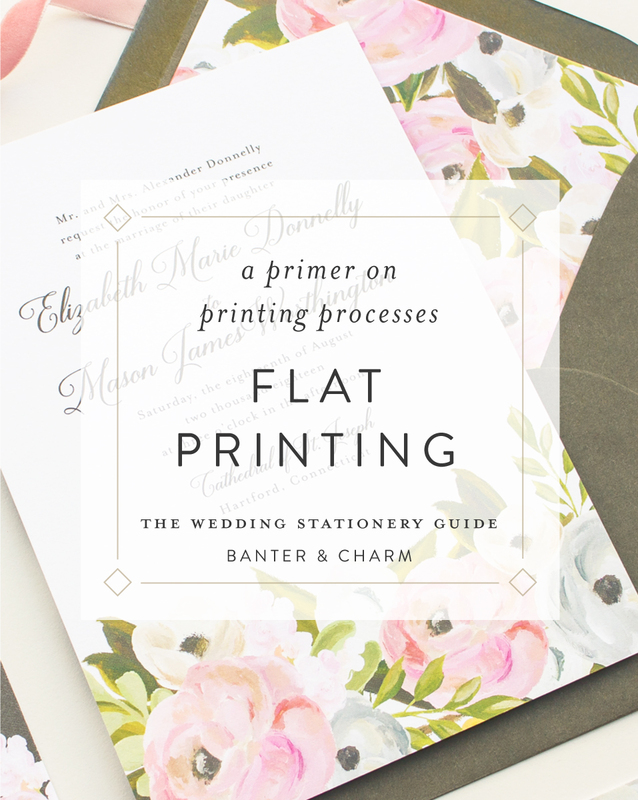 So far in the Printing Primer portion of Banter & Charm’s Wedding Stationery Guide, I have shared information about flat printing, letterpress printing, and foil stamping. 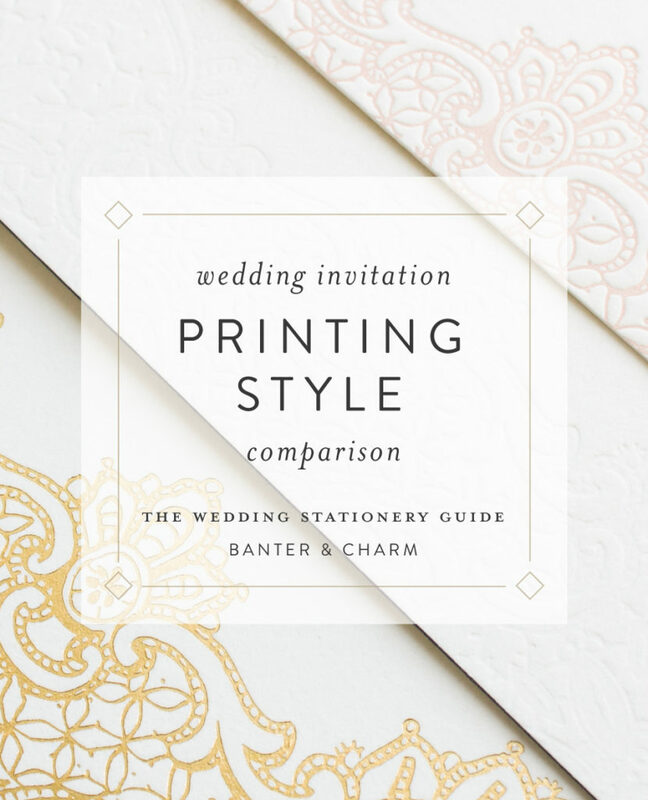 Between these three printing processes, you can achieve a wide variety of styles for your wedding stationery. 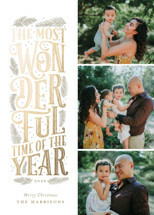 But maybe you are looking to incorporate a subtle gold color, not as shiny as foil stamping (or perhaps foil stamping is costlier than you prefer). 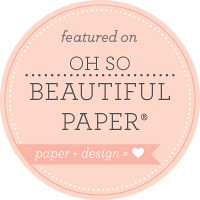 Or you have your heart set on using a deep, navy blue paper – but flat printing is not available on colored paper, and letterpress inks don’t pop on a dark background. 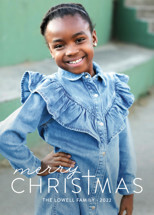 What if you want to print on something non-traditional: like a wood veneer, or tote bags for your guests’ welcome gift. This is where screen printing comes in! While letterpress will always be my favorite style of printing, there are some things it is simply not suited for. 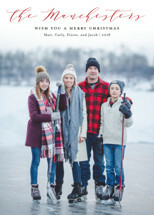 That is where flat printing comes in! 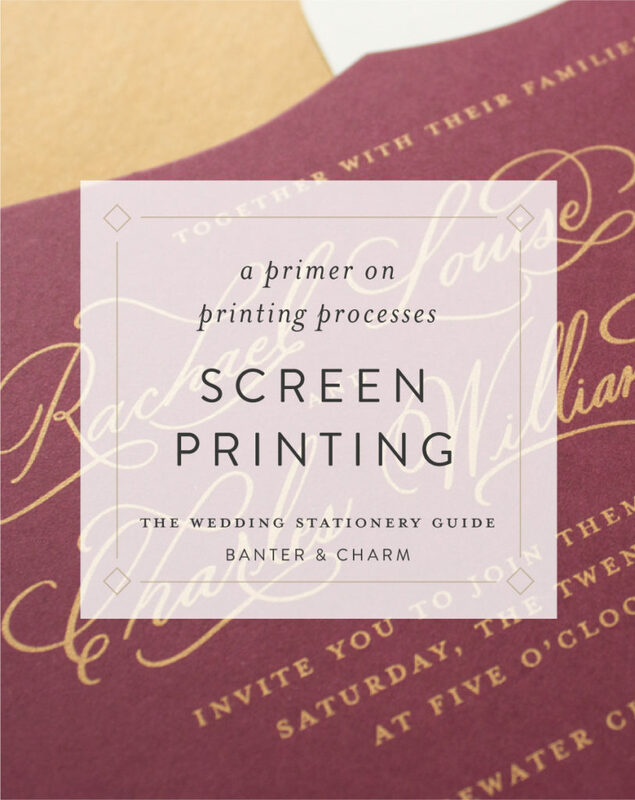 In this installment of The Wedding Stationery Guide, I will be sharing details about the digital printing process and how it can be used in your wedding invitation suite. 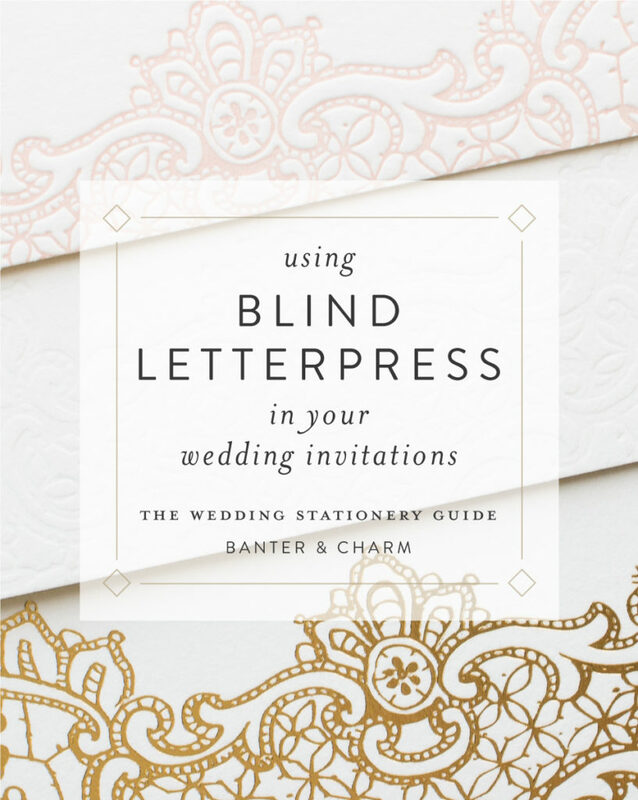 If you’ve been researching wedding invitations for any time at all, you’ve likely come across an image of a design with gorgeous, shiny, gold foil pressed into cotton paper. 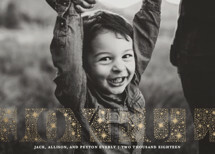 It’s eye-catching, elegant, and adds a luxurious, formal feel to any invitation suite. 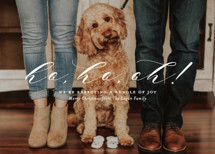 You’re not sure what exactly it is, or how it’s printed, but you know you want that for your wedding invitations. Today that changes! 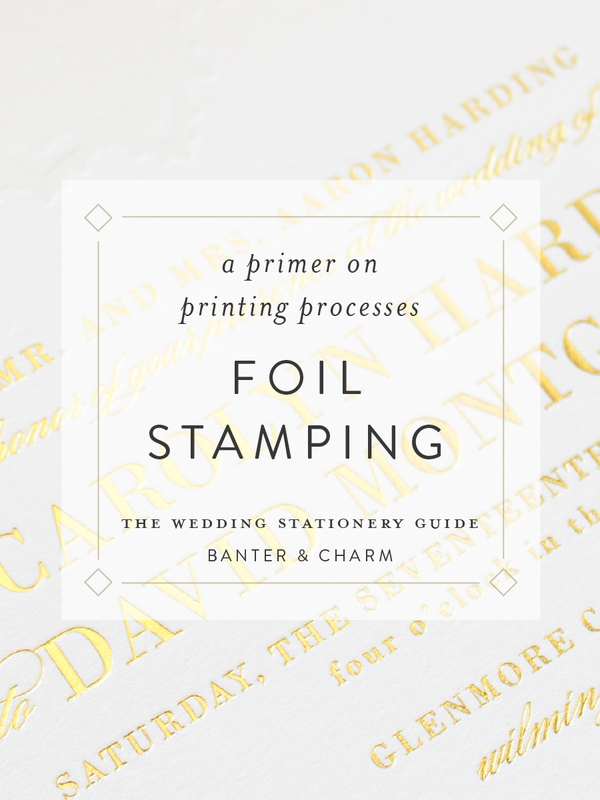 I am going to walk you through the foil stamping process and share ways you can incorporate this stunning printing process into your wedding invitation suite.